Obviously pre planned for whoever scored, but such a nice touch. 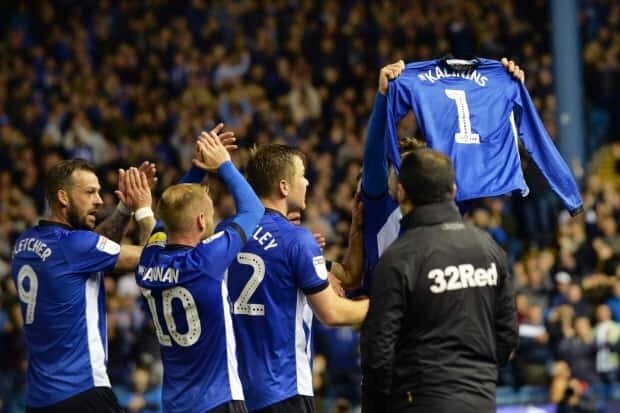 I know I row with most on here, but WAWAW. Had my wife who is an Arsenal fan in tears. Absolutely brilliant tribute, well done SWFC. Also well done to all on here and elsewhere who helped in the efforts to make this uneccessary. don't think the ref booked him either or is that not the rule anymore? Reach didn't take his own shirt off, is picking up a shirt from the sideline and waving it about a card offence? Not trying to argue, its a genuine question. The best bit was Reach fighting Hector off to allow him to go over and do it. Determination to do the right thing. I missed ghat, but if true, shows how quickly Hector has become one of us. I meant Hector had his arm round Reachs neck to celebrate. Ahh I see, cheers mate. Possibly the ref had been informed pre game what was planned and why.